A screenplay or script is the first step towards the birth of a film. There are no hard and fast rules for how a screenplay should be written or its function in the making of a film. The traditional approach to screenwriting, in which words precede the image, is not the only way to write a script. There are numerous ways of writing a screenplay, and every writer has their own style. Some prefer to begin with mainly visual ideas and then add sound and dialogue to it. Filmmakers who write their own screenplays often keep a file or scrapbook of images for each scene during composition. This material can be used as reference to specific locations or to stir up feelings and memories. It comes in handy when developing the dramatic content of a story and later as source material for design ideas during preproduction. Most writers also create a back story or biography for their characters which describe their lives prior to the time frame presented in the story. Developing a fully rounded character with a past makes it easier to write the present. A popular method of organizing the screenplay structure is the index card layout. Each scene from the script is represented in a row of cards. This allows the writer to see the overall structure all at one time. Visualization is more than just image; sound & music are also a part of the process because they evoke images. Many filmmakers, including myself, write to music. This helps in visualizing the mood and tempo of a scene. And it works even if the music isn’t going to be a part of the scene. 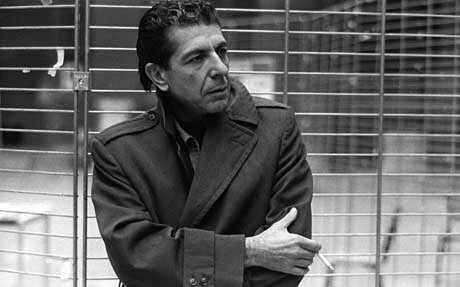 I wrote a short story, in college, while listening to a Leonard Cohen song and received an A+ for it. The song wasn’t a part of the story but it created a mood which inspired me to write a story I may not have otherwise. Sound effects are also very useful, and the street traffic or the echo of far away sirens can help conjure images of city streets for a writer punching away on his laptop. Actors often refer to these as sense-memory cues, one part of learning acting is to heighten one’s sensitivity to the world through observation. Writers should do the same thing. Because preproduction requires an immense amount of detail, directors frequently lose sight of pacing, mood and the visual arc of the story as it relates to locations. It is very important that filmmakers develop an overview of the film. One way of doing this is to place photographs and/or concept sketches in the script to illustrate the overall look of each scene. This is referred to as the “Illustrated Script”. Each filmmaker has his own way of working with the screenplay before shooting. Some use storyboards while others write out a shot list or an aerial view diagram of the location indicating camera setups. There are lots of ways of turning the screenplay into sequences, and your way of working may vary with the project. Six Months? Six Months? Wow! Critics - What a joke!